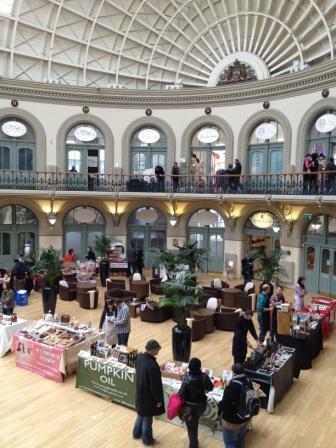 My first time at Cornucopia at Leeds Corn Exchange for the February event, a great day with some fab producers in a superb location that gives the event a wonderful feel and vibe, some lovely customers visited new and old and all with a great feel good factor, thanks to everyone for organising, attending and making the event a success. It did start snowing in the afternoon as forecast and to say the journey back to Malham in the snow was interesting would be an understatement, front wheel drive van sideways several times, 20mph & 2nd gear for what seemed like hours and eventually had to abandon ship, luckily only about 100 yards from home! 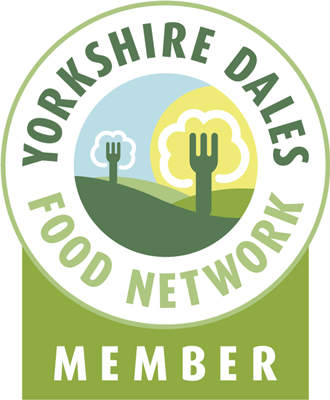 This entry was posted in Eating, Events, farmers market, Food, Mutton, Sausages, Yorkshire, Yorkshire Dales Food and tagged Corn Exchange, Cornucopia, farmers market, Foodie, Leeds. Bookmark the permalink.